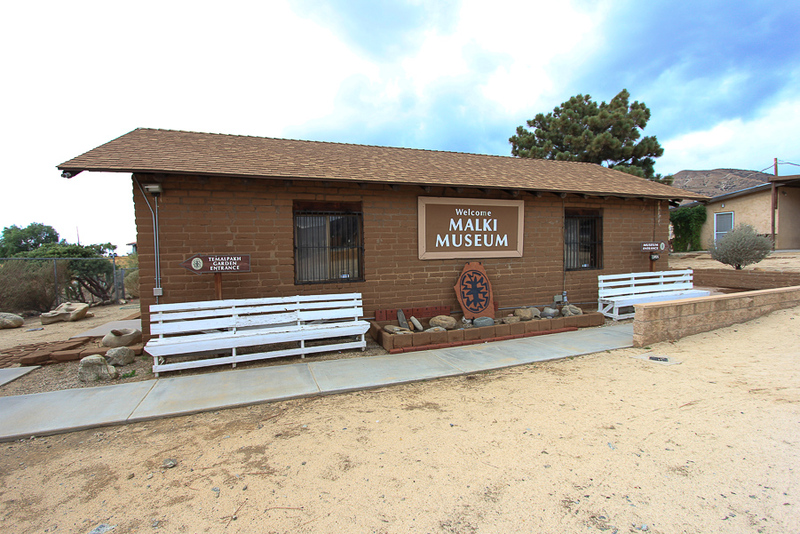 November 4, 2015 - Today's adventure was to visit the Malki Museum in Banning. 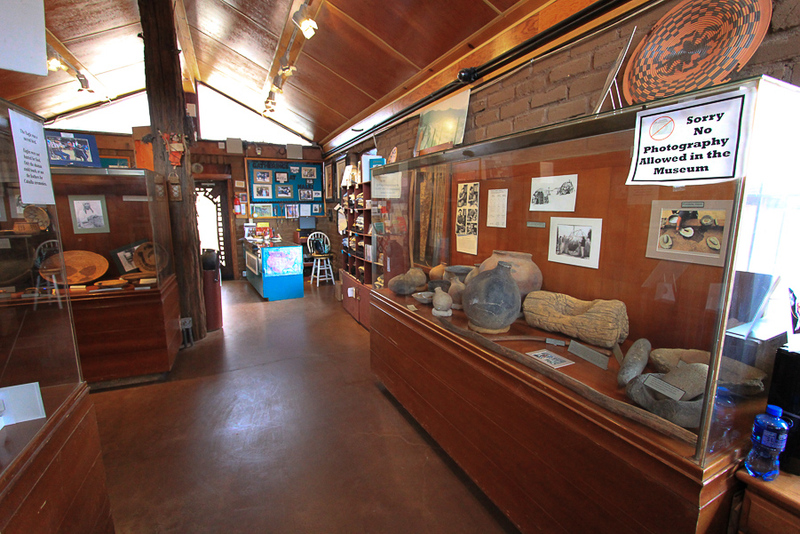 The Malki Museum is the oldest non-profit museum founded by Native Americans on a California Indian reservation. 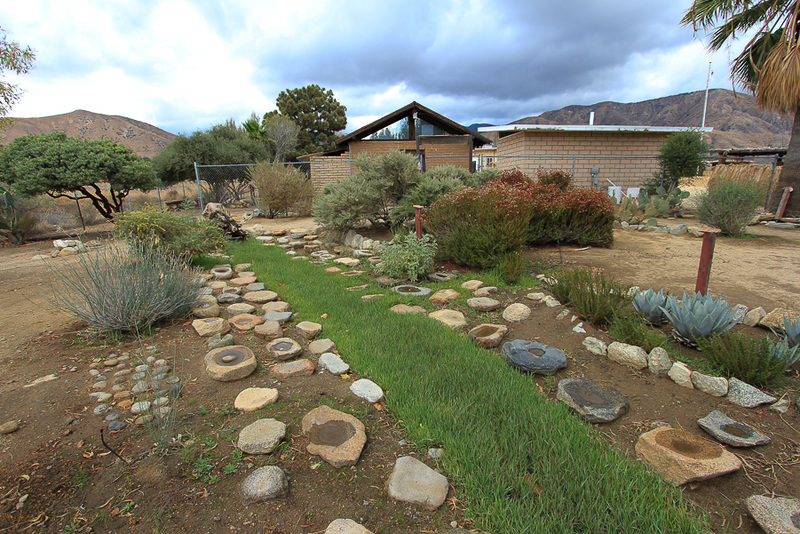 It has a unique history and is committed to preserving the cultural traditions and history of the Native Americans of the San Gorgonio Pass, Cahuilla-speaking Native Americans and the Native Americans of Southern California. 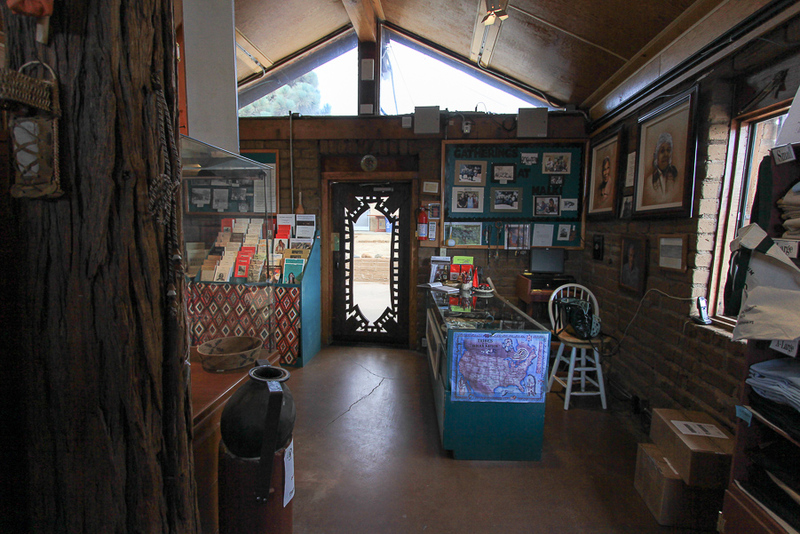 The Museum also owns the Malki Museum Press that publishes quality literary works on past and present California Indian cultures. 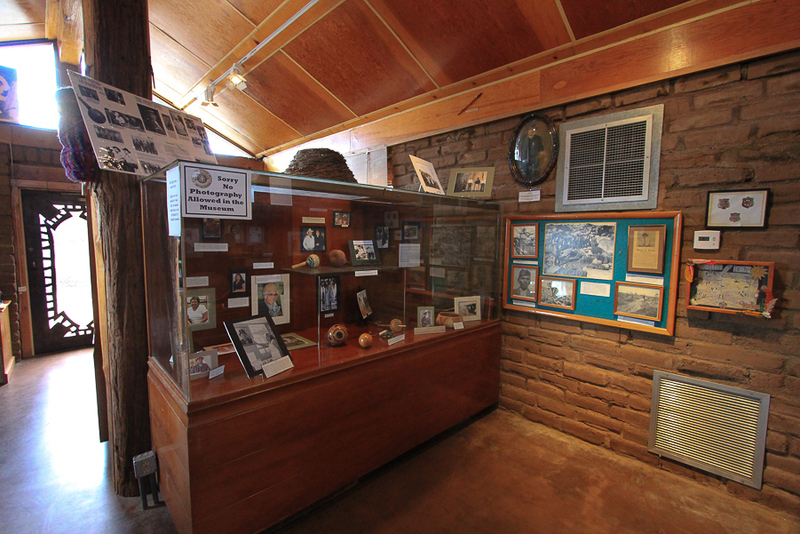 Some of their books can be seen on the left side of the picture below. 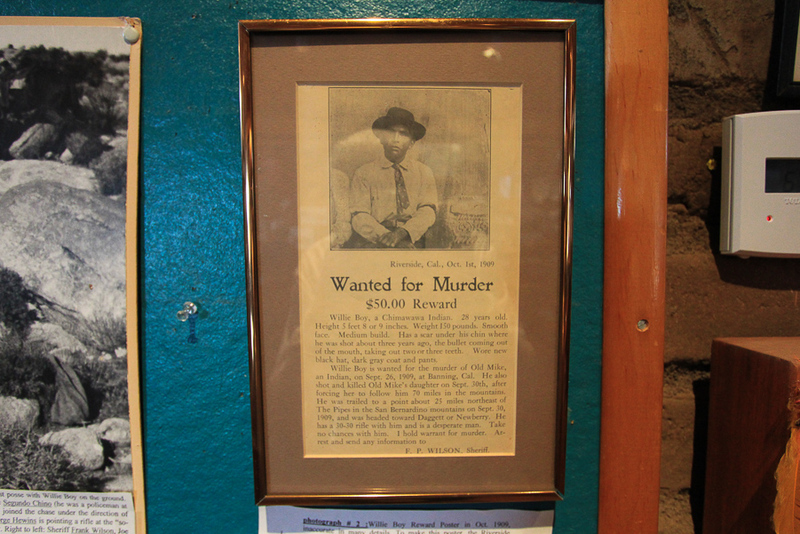 There are several rattlesnake baskets on display, which we hadn't seen before. 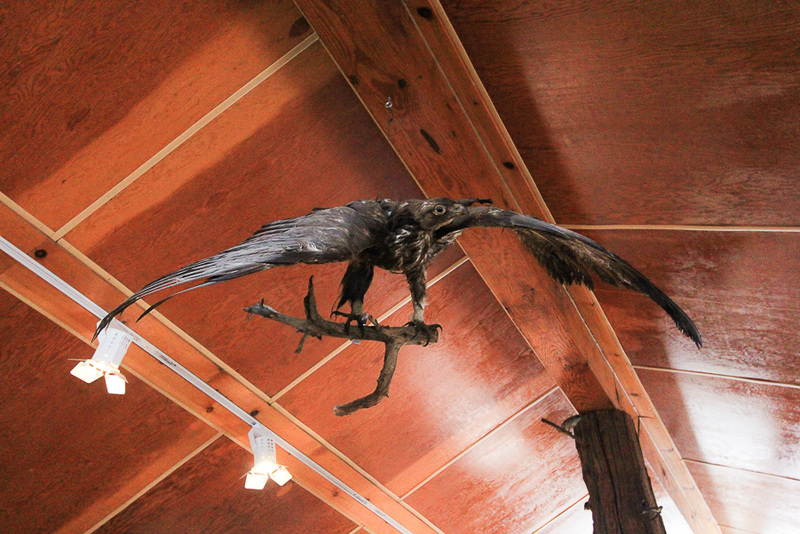 Even though photography isn't allowed inside the museum, I was given permission to take pictures. 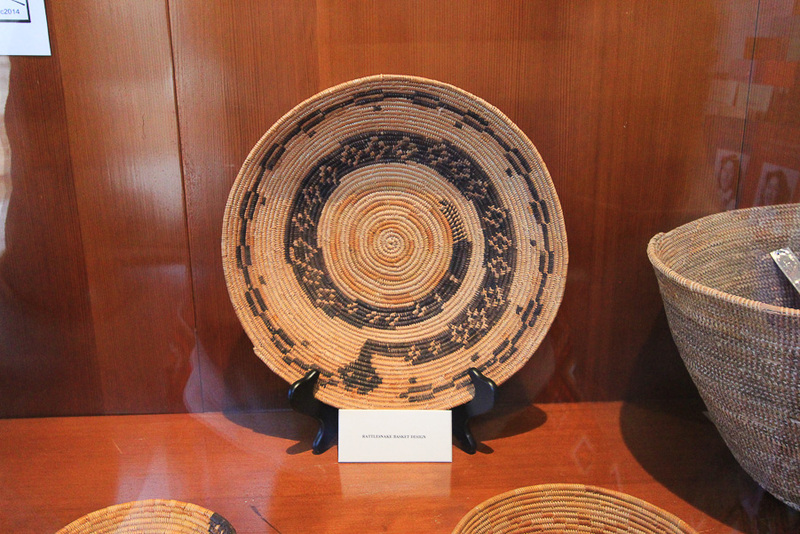 Apparently there have been people who take pictures of the baskets and post the pictures on eBay to "sell" the item. Once the money is received from the buyer, the seller closes their eBay account. 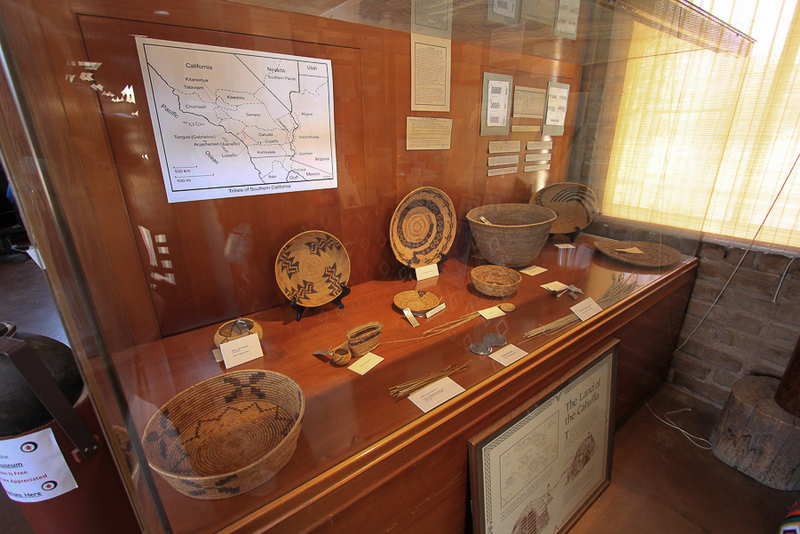 The Malki Museum is the home of an ethno-botanical garden which contains only botanical species used in the daily life of the Cahuilla. 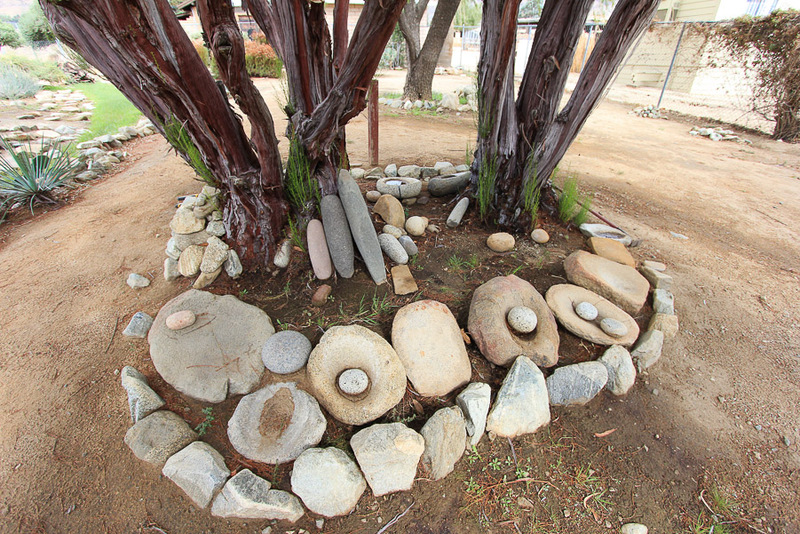 It was built and nurtured by dozens of volunteers in response to numerous requests for information about how the Cahuilla Indians utilized plants for food, medicine, clothing, housing, tools, and the arts. 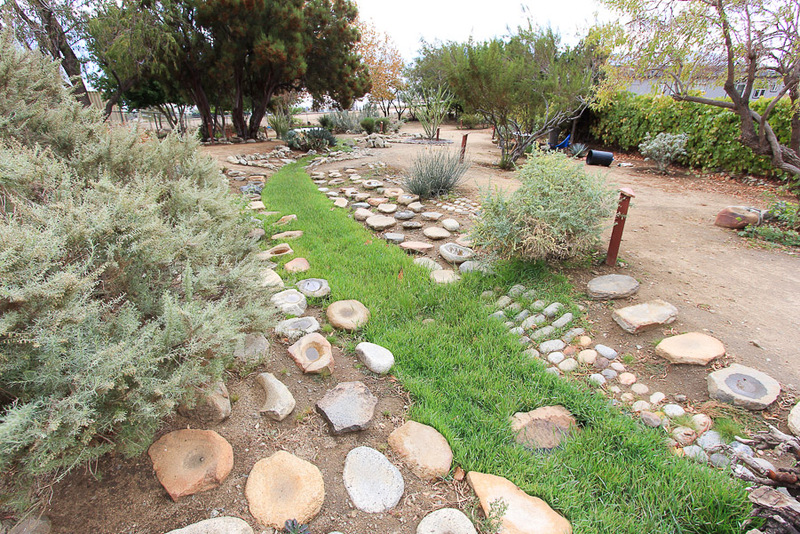 A guidebook explains the specific uses for each plant in the garden. 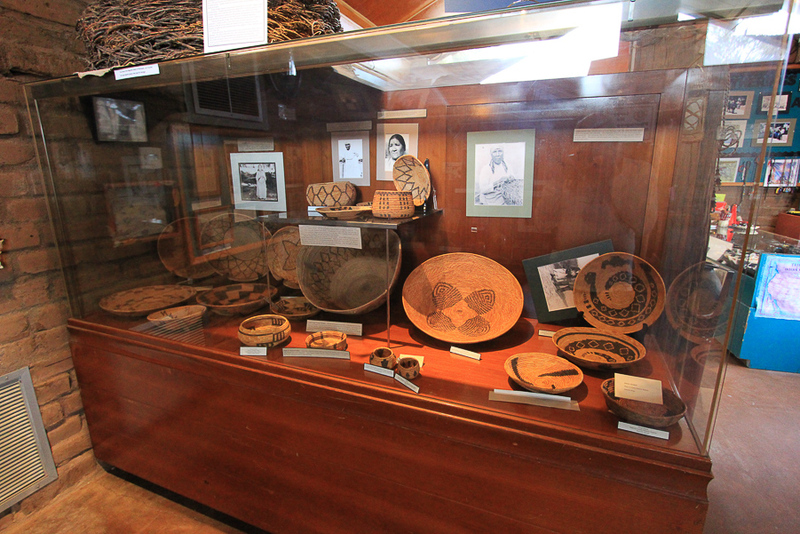 It's a lovely museum within the Morongo Reservation. 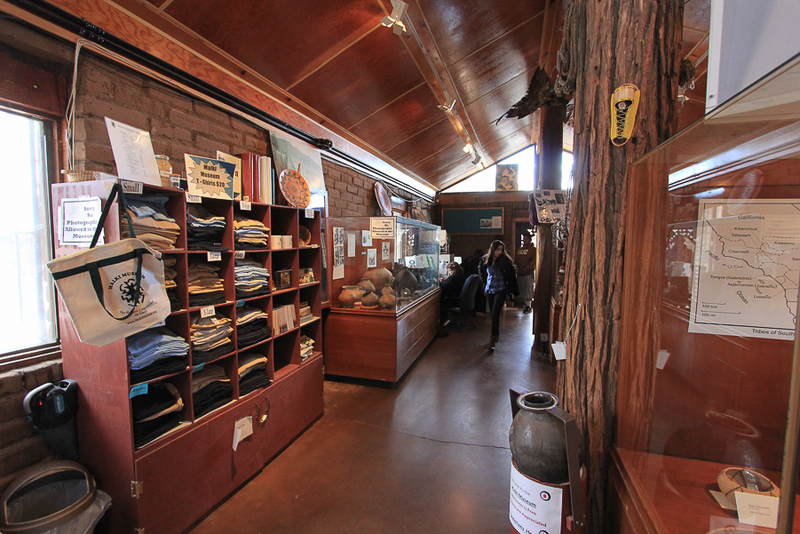 We had to pass through their security gate to enter the reservation, but everyone we met here today were all very pleasant and accommodating. 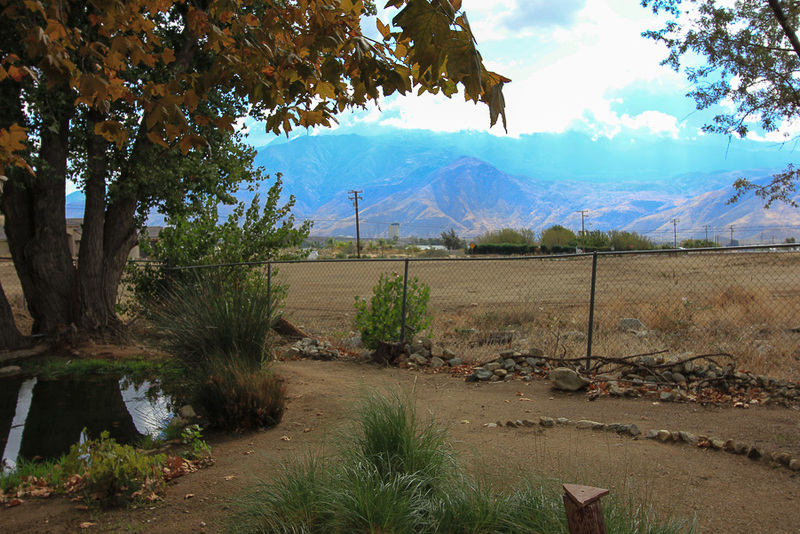 Afterwards, we had some lunch at the In-N-Out Burger right down the street. They make some great burgers! We ended the day by a little shopping at the Desert Hills Premium Outlets to complete the adventure.